Hunters Paradise with timber and direct river access! Built-in 2009 on 25 acres, located just steps from your own sand beach on the raccoon river for hunting, fishing, camping kayaking, & tubing. 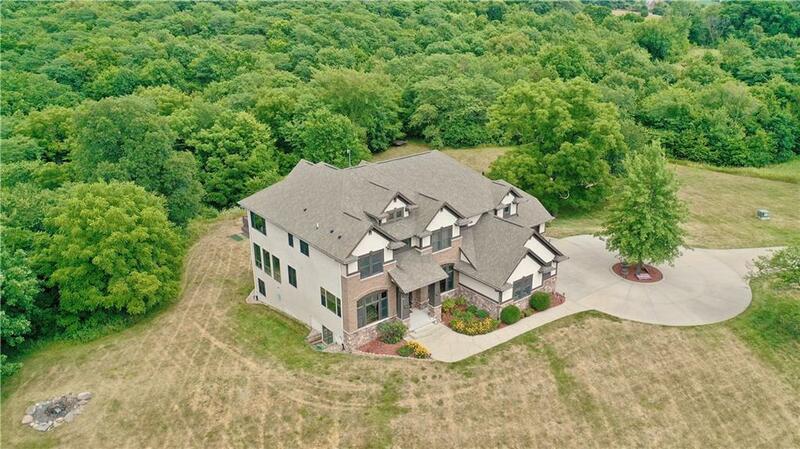 This is a custom home with a finished walkout that features over 6,500 total living sq. ft. Enjoy the 4 car attached garage that is heated & cooled. The features include 11 ft. beam ceilings, vaulted entry portico, office, formal dining room, butler pantry, large kitchen island, high-end appliances, natural cherry cabinets, walnut hardwood floors on main, carpet in the living room with built-in shelves and fireplace. The master en-suite has a one of a kind tray ceiling with lights. The master bath has an impressive walk-in tiled shower/steam room with his & hers closets. The lower level has a second family room with fireplace, recreation room, theatre room, impressive bar with counter space, and a secret room. Back covered deck and patio area for grilling to really enjoy mother nature.